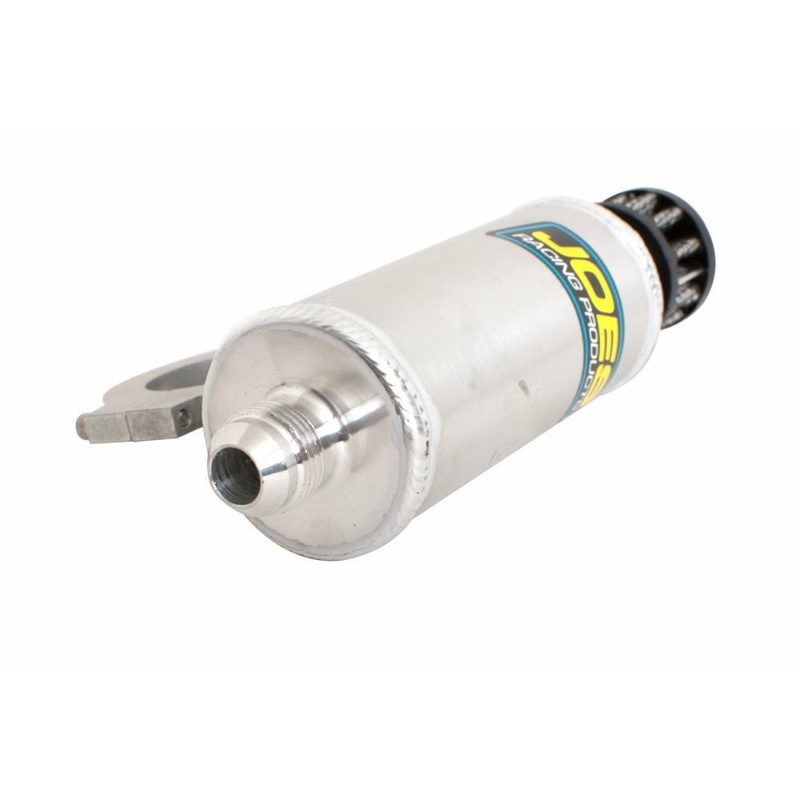 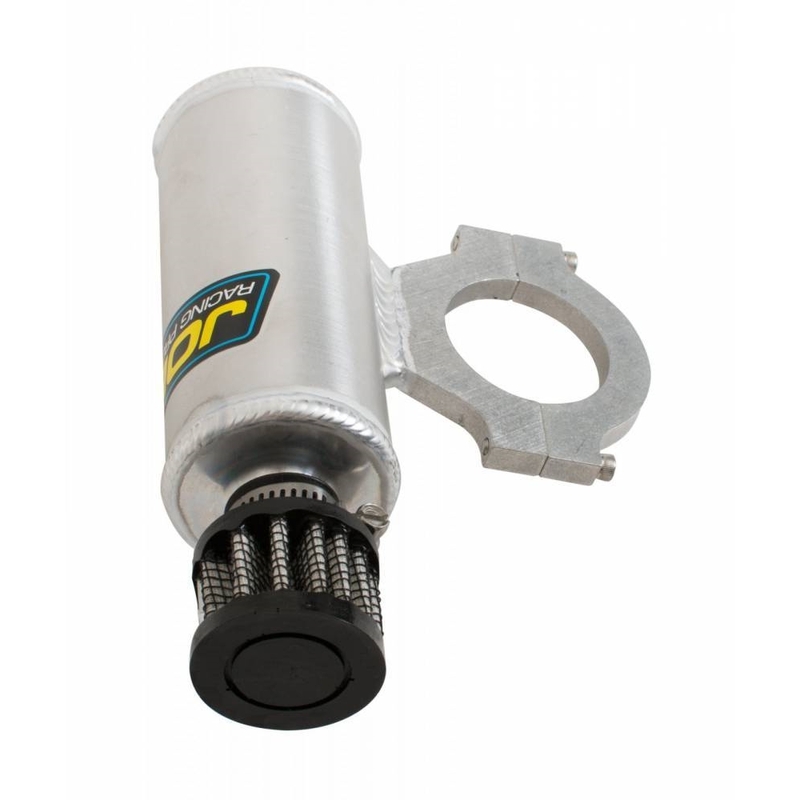 If you are blowing oil out of your transmission or rear end vent line, you need a JOES baffled Vent Tank. 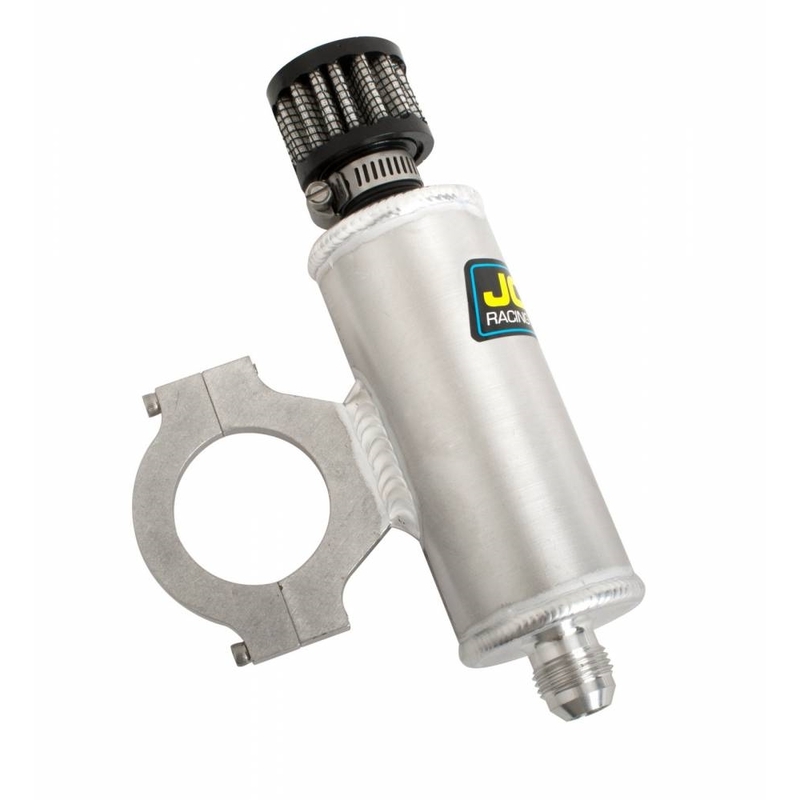 Equipped with a filter to keep dirt out of your lubricant and 1/4″ NPT pipe threads or #8 AN at the bottom for your vent line. 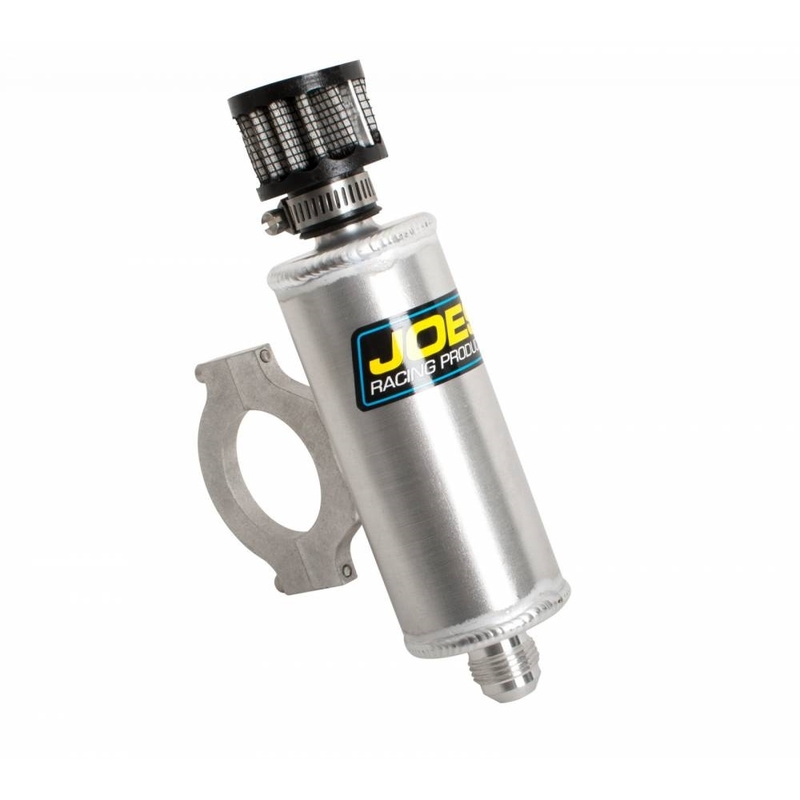 JOES Vent Tank available for 1-1/2″ or 1-3/4″ tube mounting and flat sheet metal mounting.